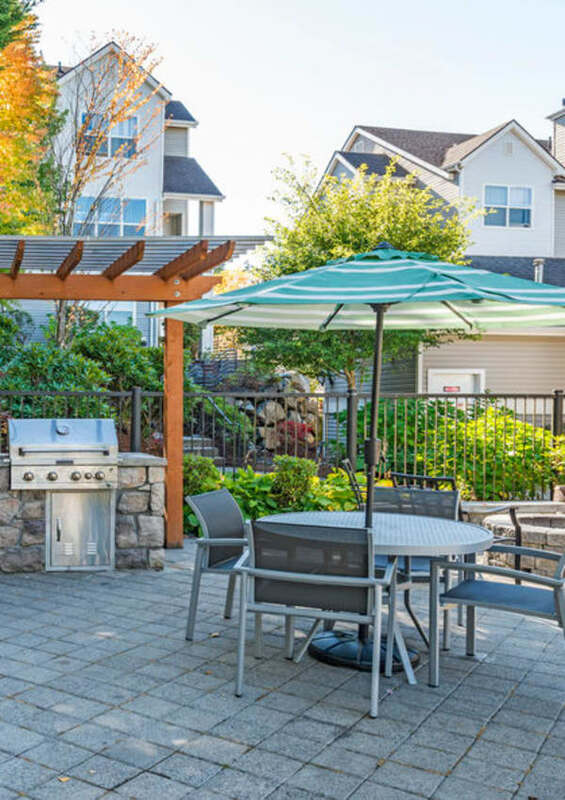 Treat yourself to designer luxury with an apartment for rent at HighGrove Apartments in Everett, WA. These stunning one, two, and three bedroom floor plans offer you a refreshing take on home. Spacious and modern, each is finished with double pane windows for sound insulation and select homes also offer a cozy fireplace perfect for warming up on those cool Washington days. Beyond the renovated interior of your apartment, we also offer a large selection of community amenities. Enjoy exclusive access to a 24-hour fitness center or take your pet to one of our outdoor exercise areas. In the mood to socialize with friends? Invite them over for a poolside chat at our outdoor fire pit. Do you need somewhere to host a private event or function? We offer the option to lease our clubhouse for private parties. Make use of our entertainment kitchen and cozy seating areas with comfortable couches and chairs. Simply check in with our responsive staff for more details. Come experience the luxury of HighGrove’s amenities. Give us a call for more info.